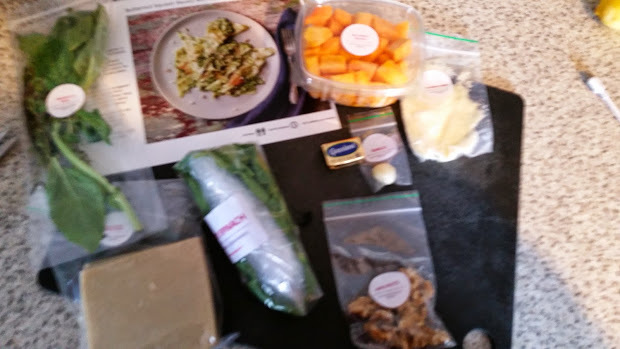 On Sunday I made the Butternut Squash Ravioli with Spinach Pesto. It was the most delicious meal, but also the most time consuming by far. It estimated 30-40 minutes, which I honestly don’t know how anyone could do unless they are ravioli making wizards. My half-Italian husband even helped throughout the whole process and we took 55 minutes total. 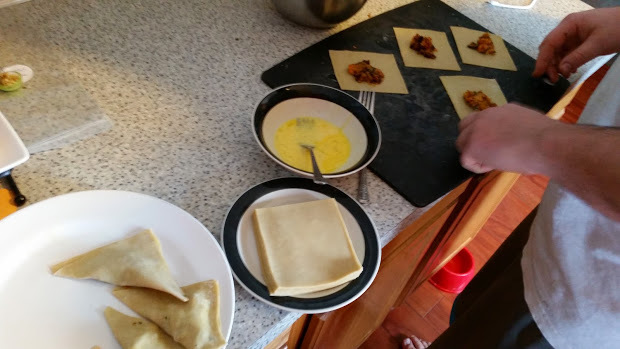 I’ve made ravioli before, but only with homemade pasta, never with wonton wrappers. When we made it before, we used a ravioli press hubby’s Nana (Italy born and bred) gave us. 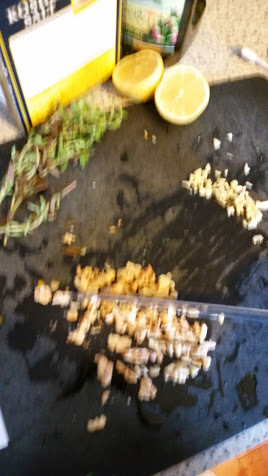 Lots of chopping as usual, the squash needed chopped, the garlic, the walnuts, and the oregano. I realized I had NEVER seen oregano on the stems before, only already shredded like you would buy in the spice aisle of the store. 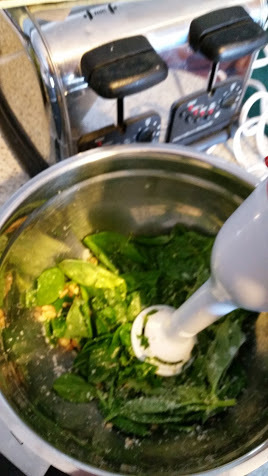 I got to use the immersion blender, I did not think that it would be able to handle whole spinach and basil leaves, but it did! Even if it did take 5 minutes and cause my hand to hurt. 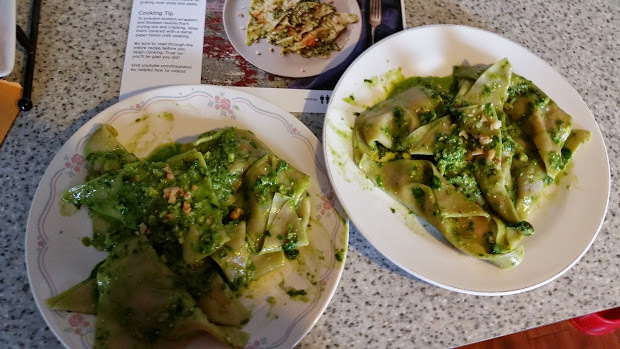 My husband did most of the ravioli making, I was working on the filling and pesto. I did a couple though! We ran out of filling though, and ended up with only 13 raviolis and 5 extra wonton wrappers. But in the end, we had two delicious plates of ravioli to eat. This was definitely a weekend dish, I’m glad I didn’t try to do it on a weeknight after work.